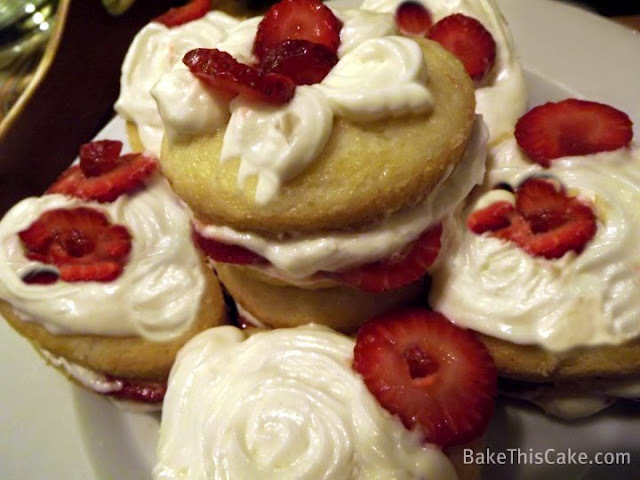 Vintage Rose-Water Cupid Cakes Recipe | Bake This Cake! 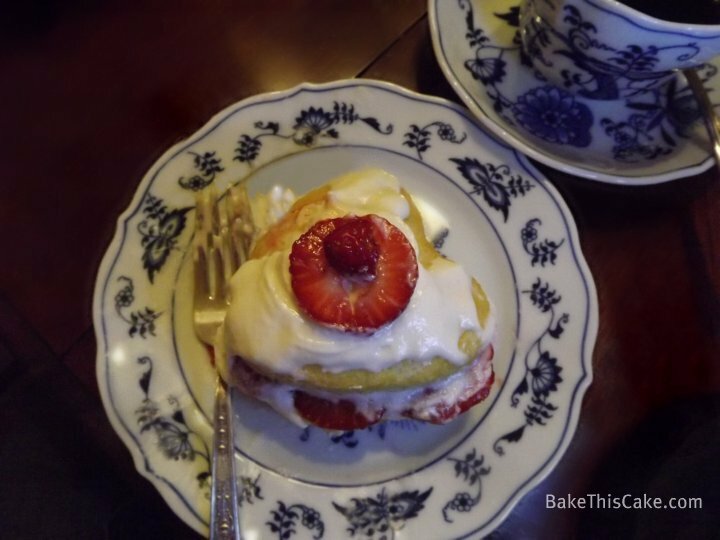 Good-messy, decadent and oh-so-vintage! 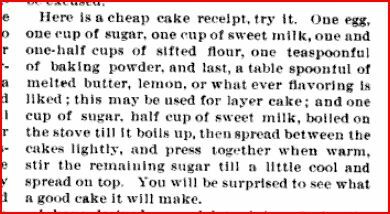 Re-introducing a recipe from the year 1888 that we’ve brightened up with a hint of rose-water (though less daring folk may substitute vanilla or fresh lemon). 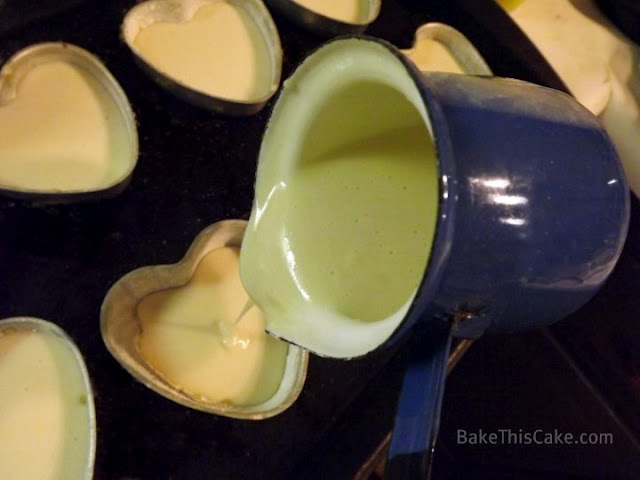 These Rose-Water Cupid Cakes are baked in little heart-shaped pans and in mini tube pans (or even muffin tins), then sliced in half, basted with a Sweet Boiled Milk Syrup (oh yeah!) 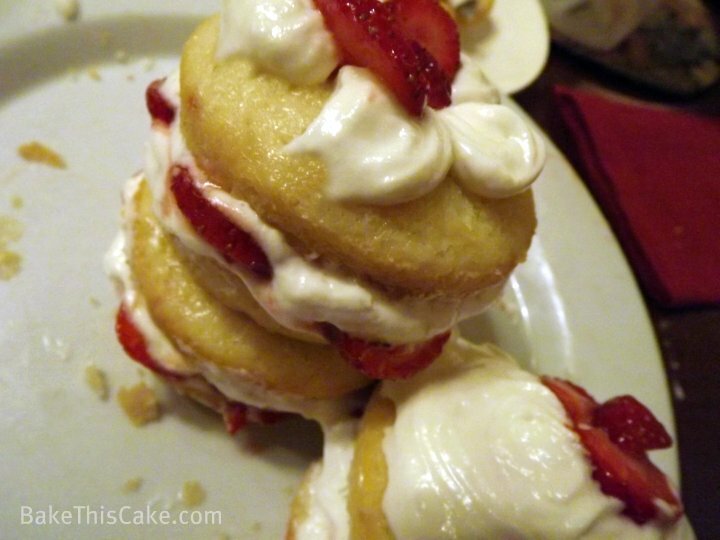 and dotted with homemade Italian Meringue Buttercream and strawberries slices — just like a down home strawberry shortcake. Goodness gracious! Once you take on this fun little vintage kitchen project I can almost guarantee you’ll have more dinner guests in your future! 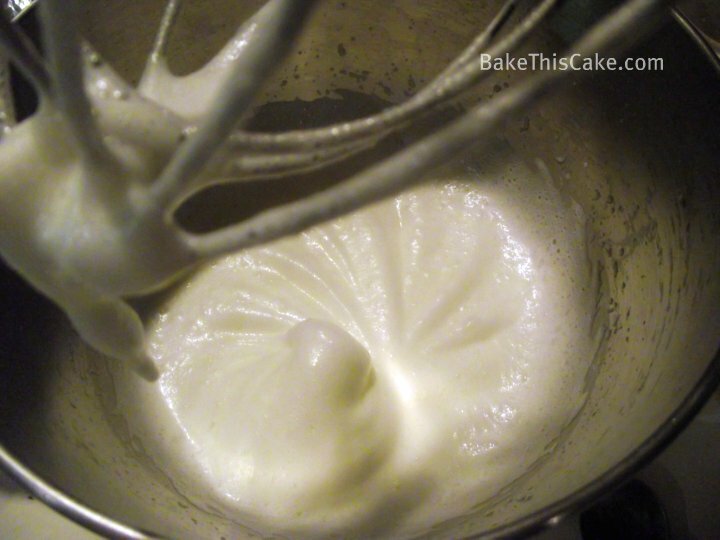 Originating Recipe for Cheap Cake! 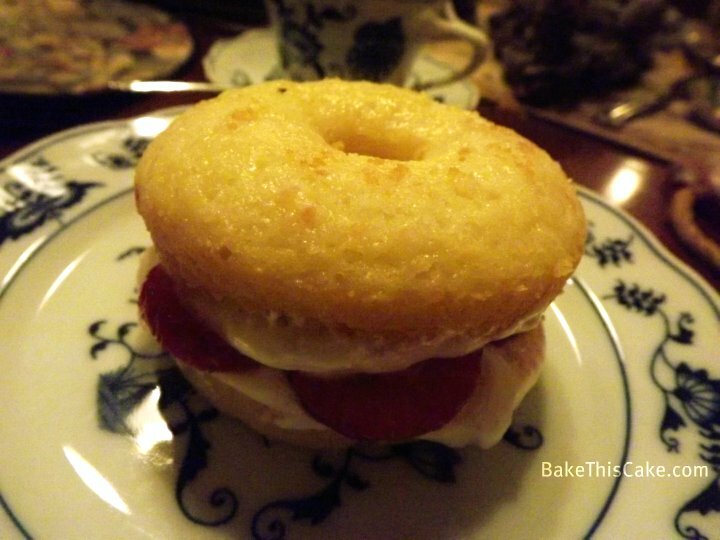 The recipe for these cute little baby cakes comes from a rather unusual source…The Brotherhood of Locomotive Fireman’s Magazine (July, 1888, Volume 12, page 510). 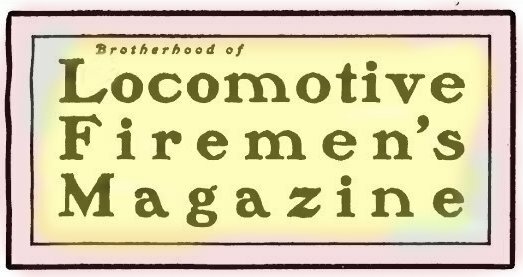 Or, rather, from a submission to the “Woman’s Department” of the magazine by “A Fireman’s Wife” from Springfield, Massachusetts. 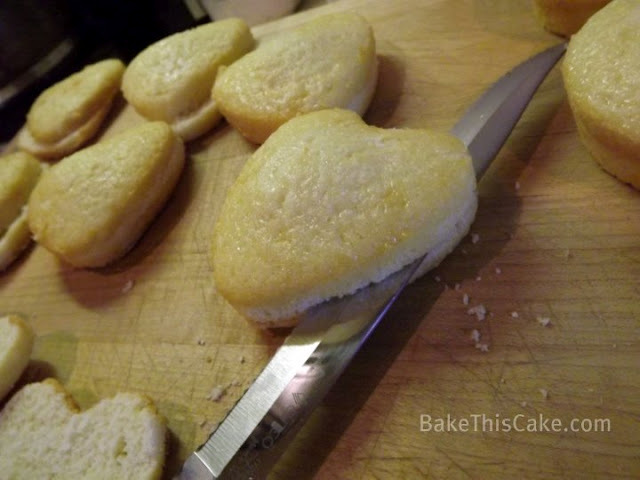 This recipe, that we are modifying here to create our Cupid Cakes, is actually referred to only as “a cheap cake” (ha!) 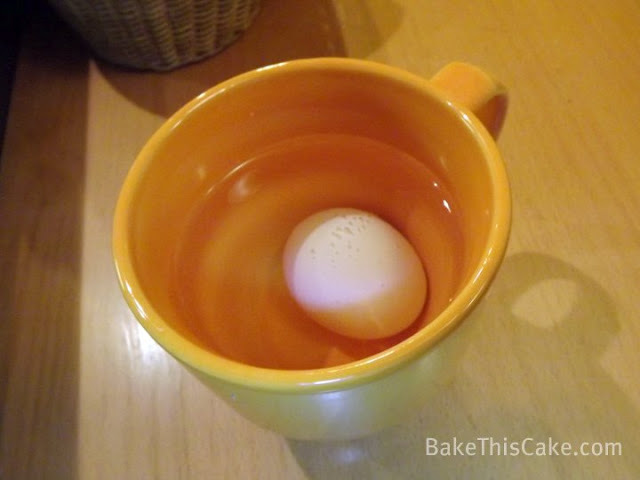 because it uses 1 egg, 1 cup o’ sugar, 1 cup o’ milk and a little bitta flour. But, of course, we messed with the original recipe. (Yeah, we always do.) 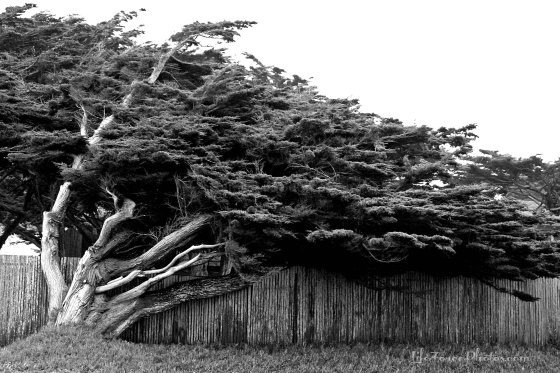 But only a tad. Just enough to bring a tiny drool to the corner of your mouth when you take your first bite. Ha! 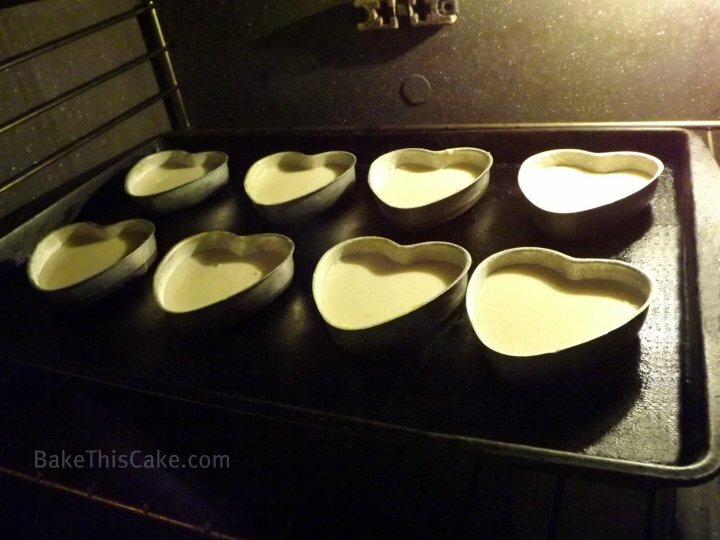 Okay, let’s get started baking up a little set of country cakes. Yum-o! BTW, if you want to have some extra fun with your guests, assemble these little charmers right at the table. It’s so fun to hear the oohs and aahs as you dollop the berries and frosting over the cakes. And serve em up with: champagne, coffee, milk or even fresh Lebanese lemonade (made with rose-water). hoo hoo! 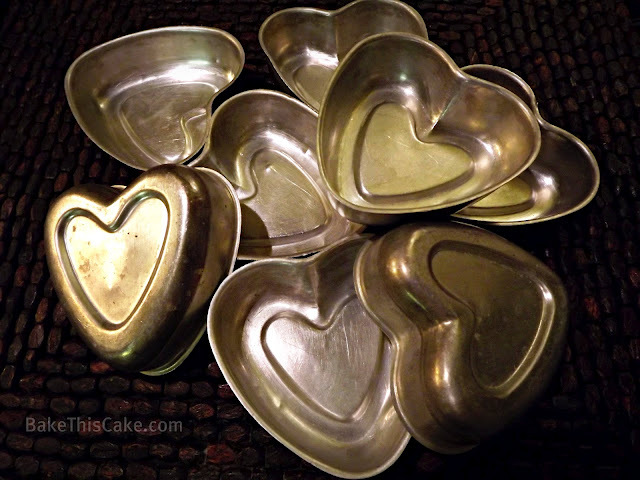 Drop a couple rows of mini cake pans on a baking sheet. 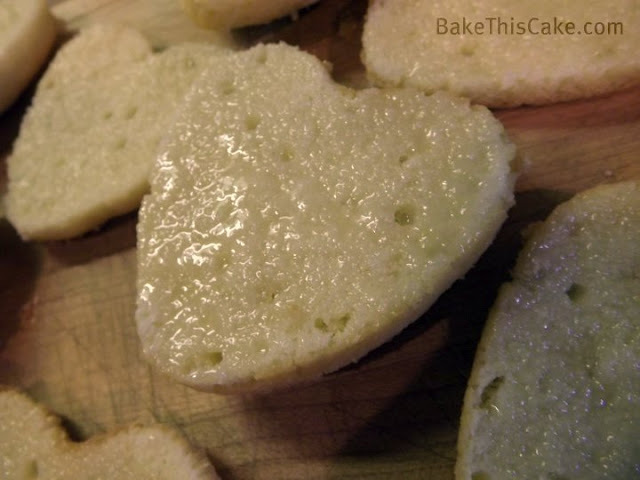 Tip: Do the same with mini tube pans or a muffin tin. 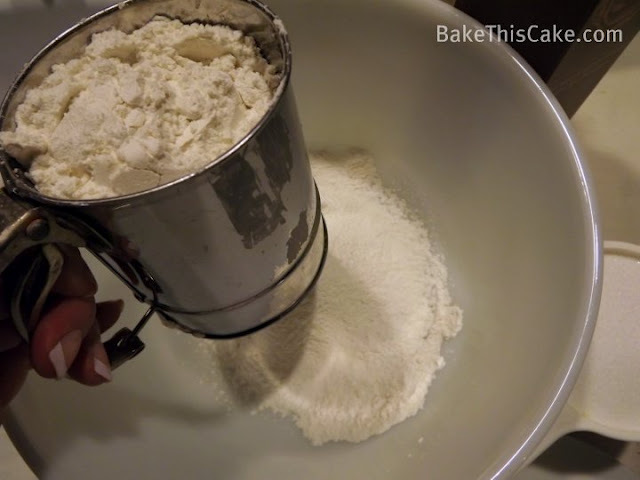 We’re also testing our sponsor’s unbleached cake flour in this recipe. 🙂 Although I’ve tried most of their amazing flour, I didn’t even know until recently that King Arthur had cake flour. 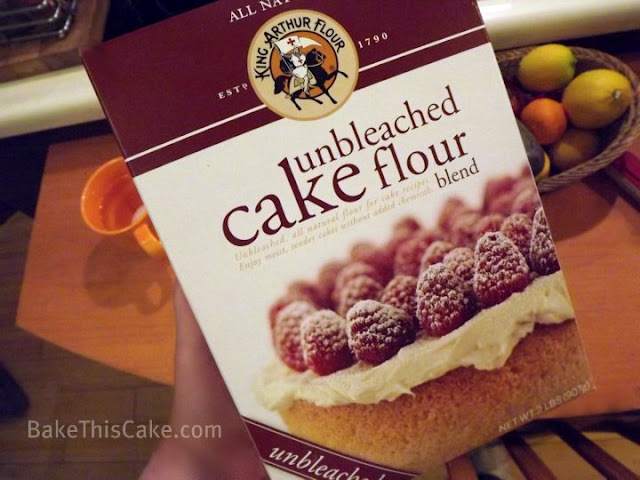 Besides, my friend, Andrew Wilder, author of the Eating Rules blog, tells me that unbleached flour is a healthier alternative to bleached cake flour — so I’m game. 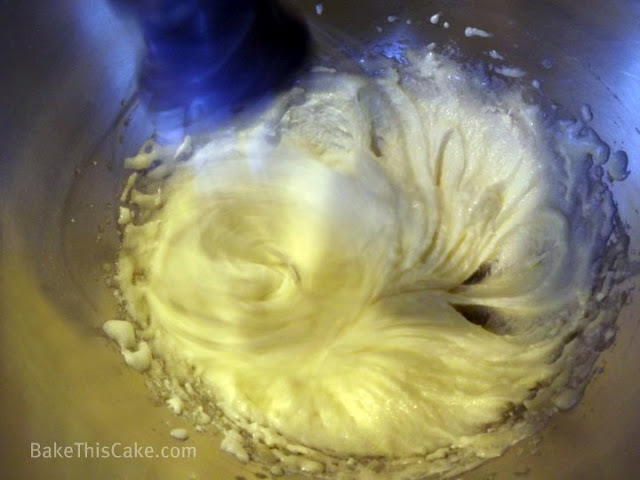 🙂 And the results surprised me… The unbleached cake flour was light and loverly! Hip hip! 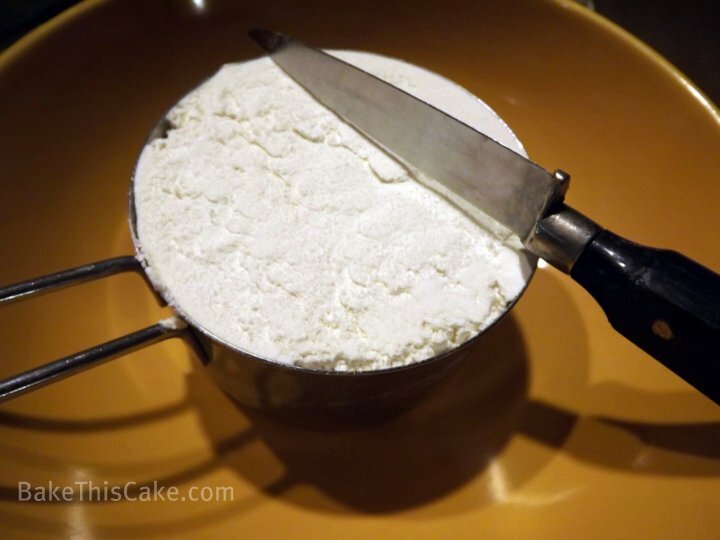 Although I should use a scale, I’m too lazy, but be sure to spoon your sifted flour into the dry ingredient measuring cup and level it off with a straight edge. 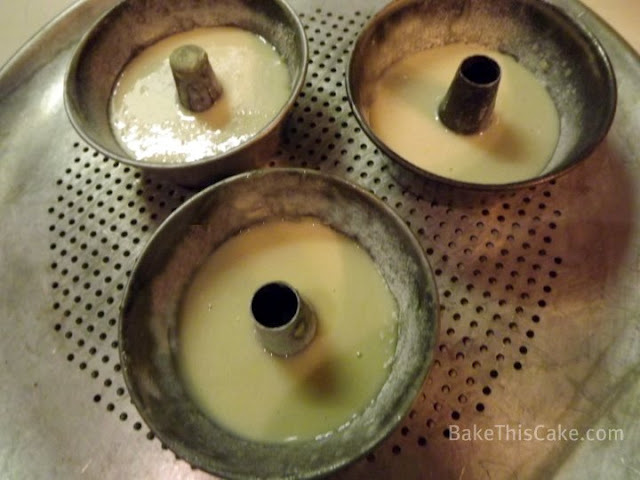 Pour or ladle batter into the mini cake tins or muffin pans (about half way or less). 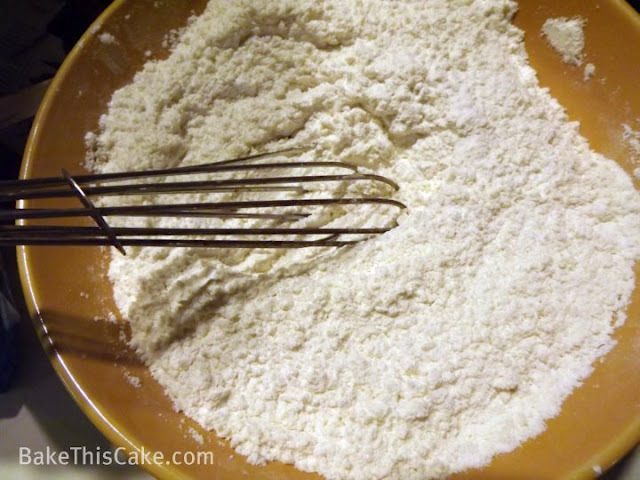 Tip: Pour or spoon just a bit of the batter into each container and then circle back around to get them as evenly filled as possible. They will raise a little but not even up to the top. 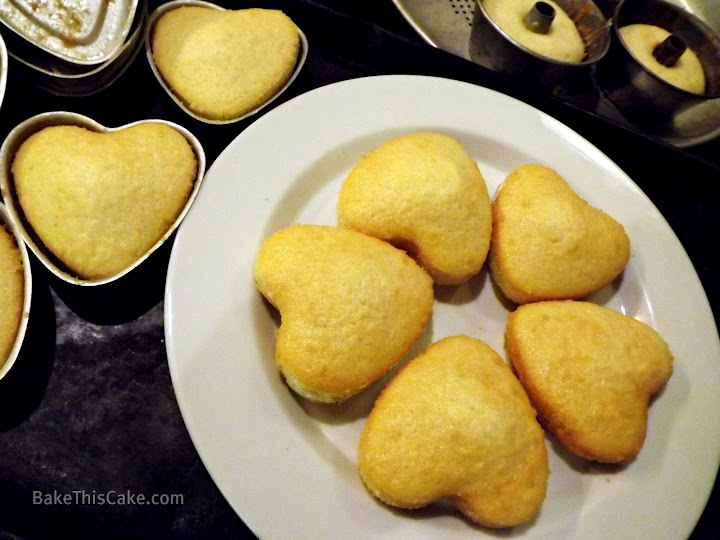 These are the mini tube pan cakes (with one tester extra) for the center of the platter presentation. Bake at 350 for 25 minutes until lightly golden and toothpick test comes out clean. 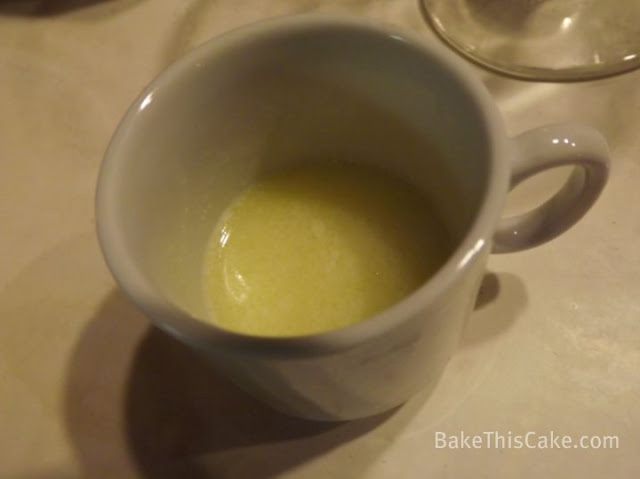 Sweet Boiled Milk Syrup: This recipe should be made about 10 minutes before the cakes are done baking so that both the syrup and the cakes are warm when you brush the cakes with the syrup. Tip: This syrup will harden over time so be sure to use it fresh and warm. 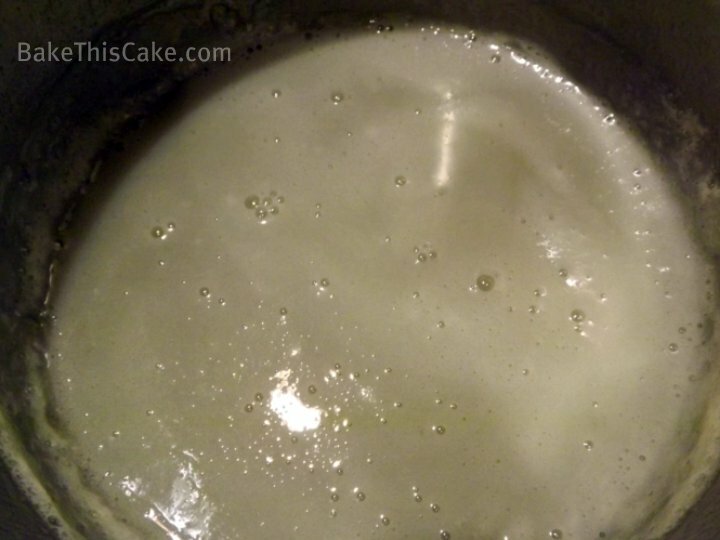 Bring to a foaming-bubble boil and then simmer at a low bubbling boil for 1 additional minute. Tip: If you’re using a thermometer, the syrup can rise to about 220 degrees. 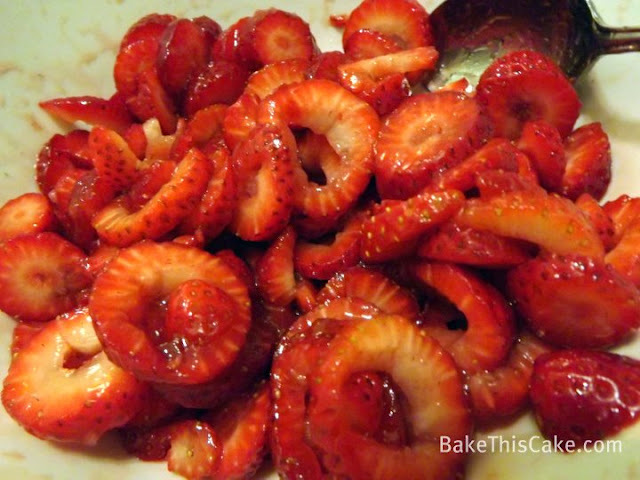 You will have about 1/3 cup to 1/2 cup of syrup for basting your cakes. 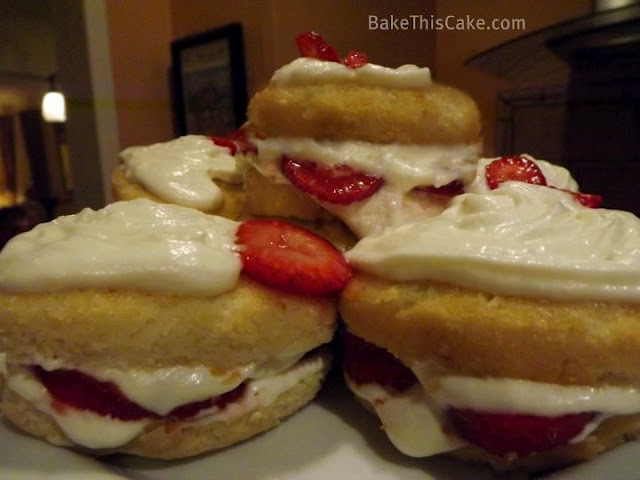 Cool the cakes on a wire rack for about 5 minutes until they are cool to the touch. 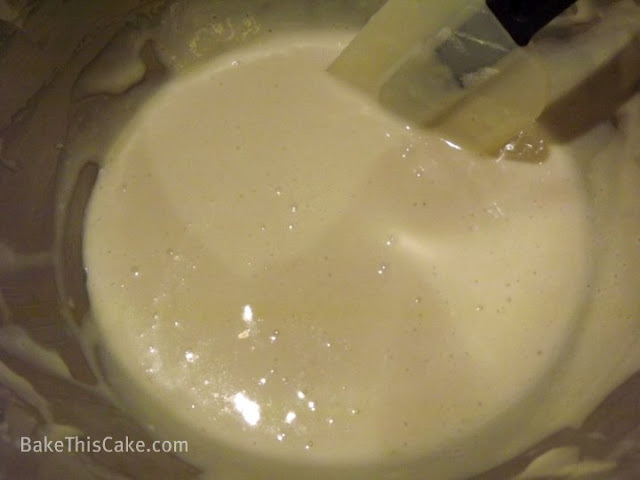 Slice each cake in half horizontally, keeping each cake together (in case they are slightly different sizes). 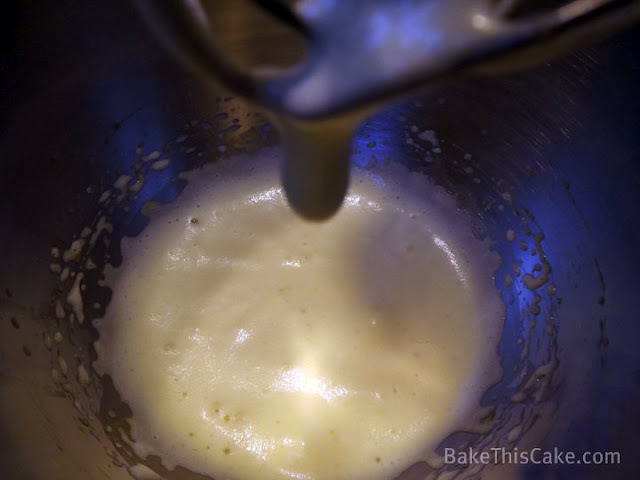 Brush each cake top and the top of the inner layer with a little of the warm syrup. 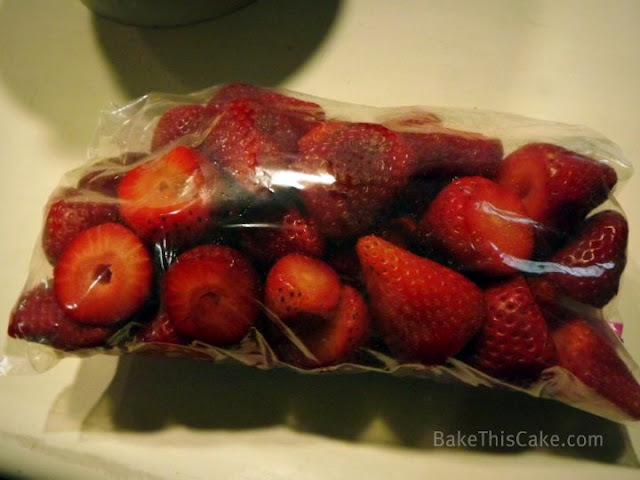 Close the cakes pieces back together and wrap them to keep them fresh until just before it’s time to serve. 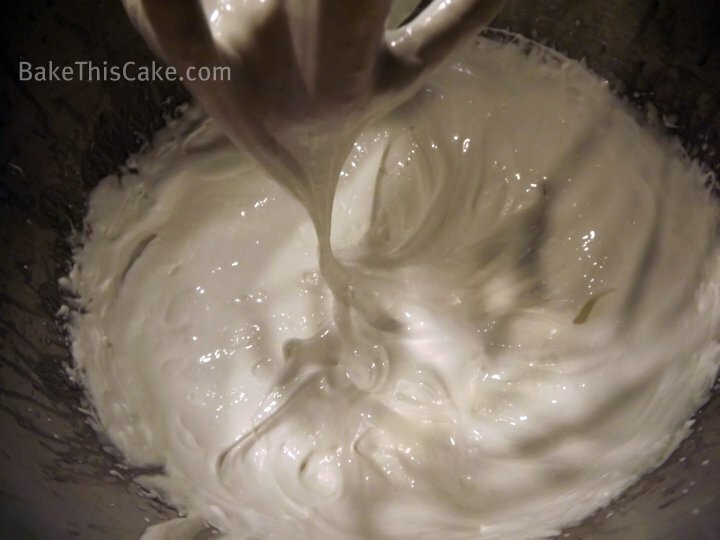 Italian Buttercream Meringue Frosting: This is a lighter frosting than most of this sort to pair perfectly with this particular cake. 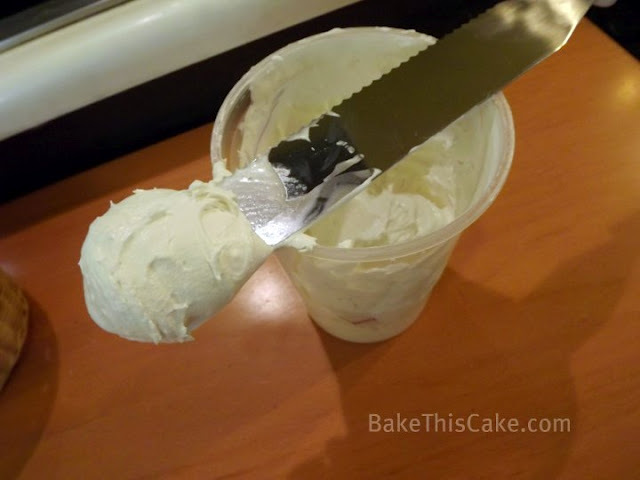 Note: I was not looking for stiff peaks, so I did not use salt or cream of tartar but you will achieve a stiffer frosting if you use all ingredients. 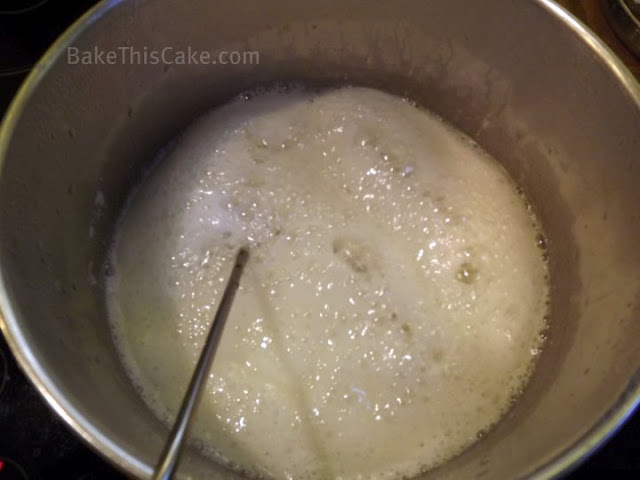 When boiling sugar syrup reaches 240 degrees, beat the egg whites on low-speed as you slowly pour the molten hot syrup into the fluffy egg whites. IMPORTANT SAFETY TIP: Remember not to touch the hot sugar syrup and take great care not to allow any splashes! 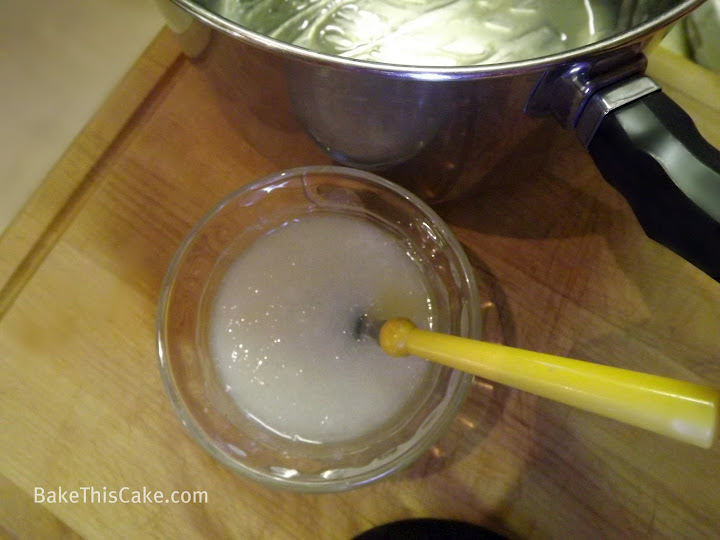 Tip: Try to drizzle the hot syrup to avoid sides of bowl and mixer parts (so they don’t get hard and crystallize in little lumps. 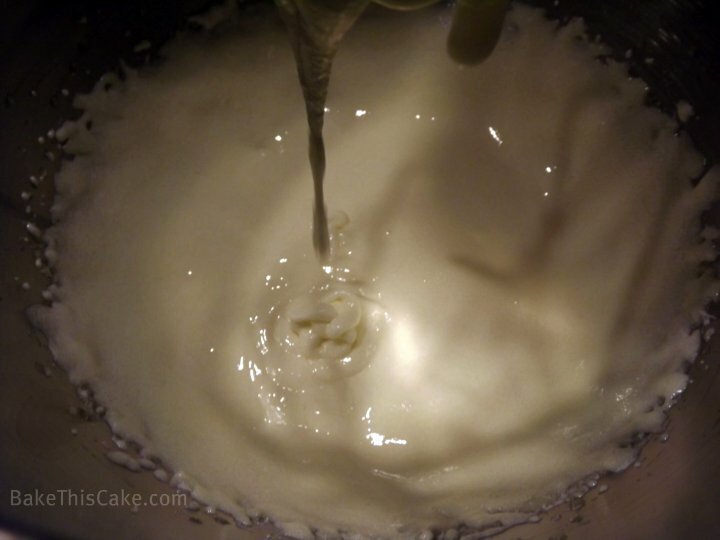 Once all the syrup has been beat slowly into the egg whites, beat on high-speed until stiff peaks form and meringue is glossy and the meringue comes to room temperature. Refrigerate until just prior to using. That’s it for the berries! 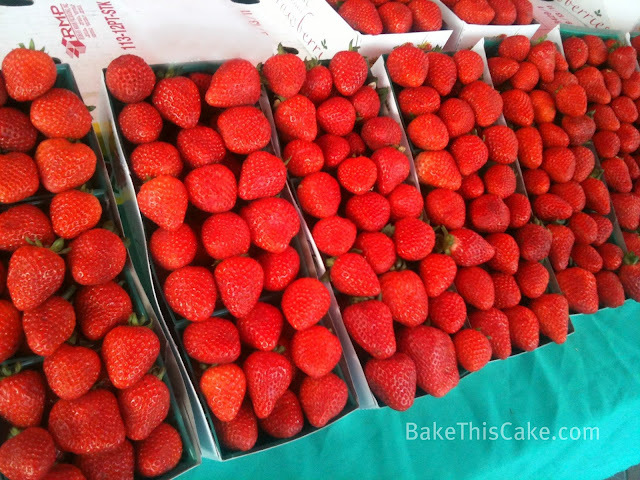 Prepare each little cake by filling the center with a layer of Italian Meringue Buttercream and a layer of strawberries. 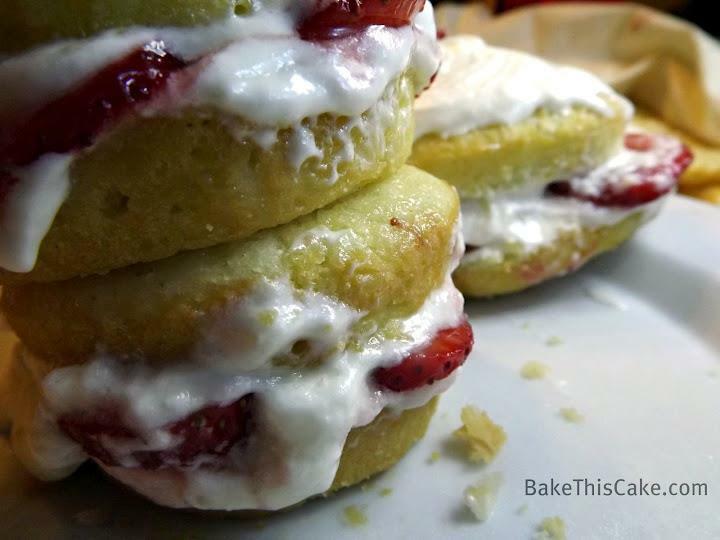 Place the top layer on each cake and repeat with frosting and strawberries. 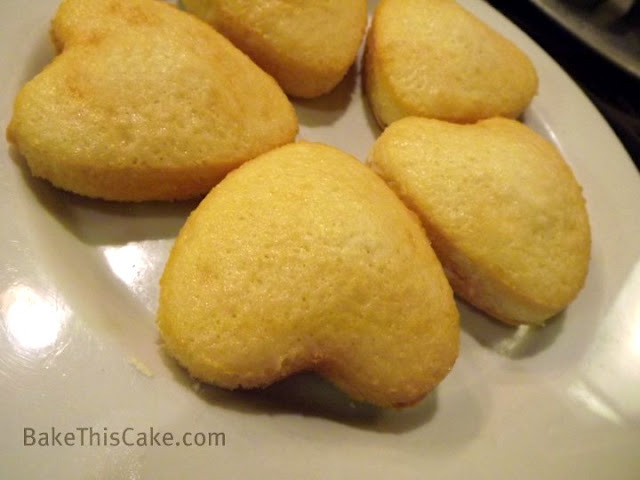 If serving these cakes on a large platter, you might arrange the hearts around a donut-shaped cake that filled just like the heart cakes. We double-decked our center circle cake. Wishing you happy baking and good conversation at your vintage dessert table! I do hope you enjoy and let me know how it goes. 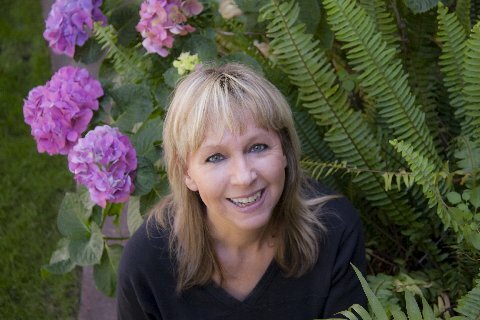 Thank you for all your wonderful words of encouragement! 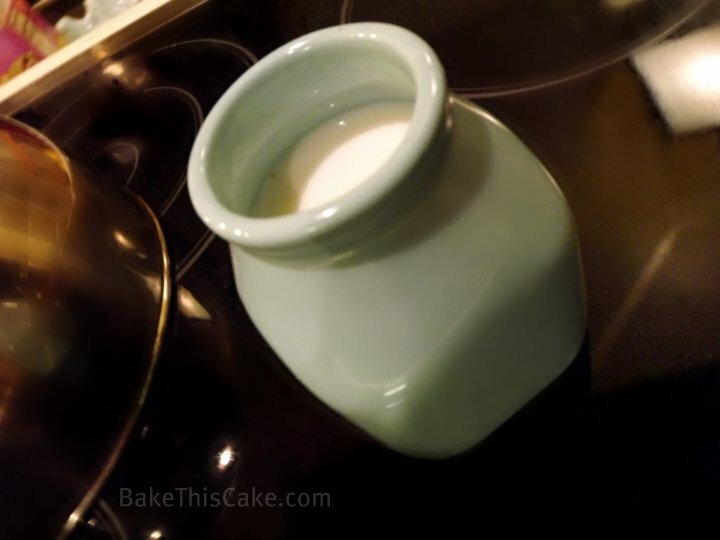 Thank you for the instructions, it looks great, nice to learn how to make the sweet milk and the antique recipe for the cakes! 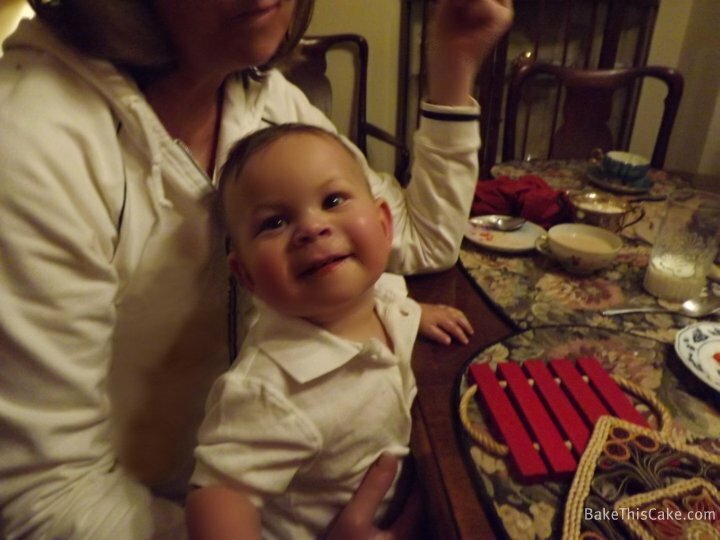 Beautiful little hearts. 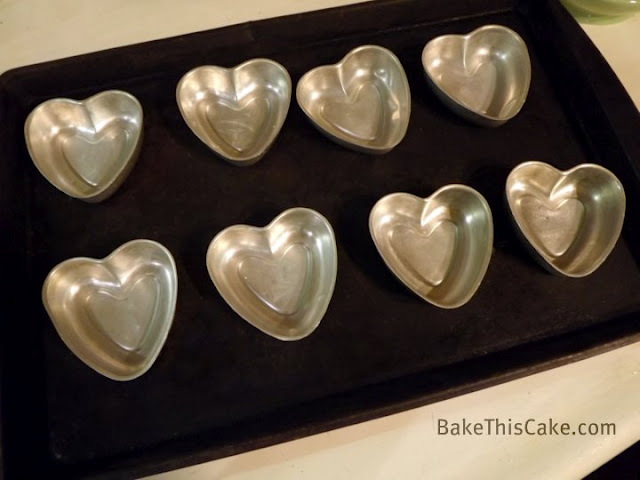 Those heart-shaped molds are adorable! 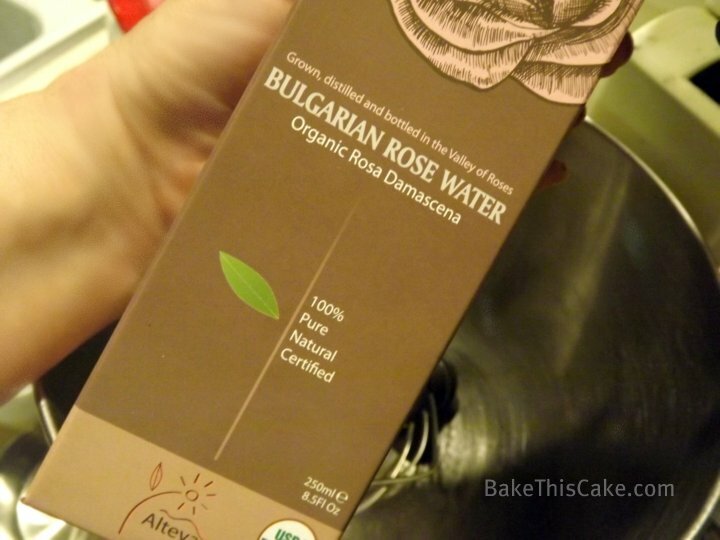 Love the idea of rose water in the cakes…I did try some rose essence long time back in a chocolate-rose glaze over a yogurt cake, but it turned out to taste more like medicine that anything else!